Generator Maintenance | Gold Eagle Co.
Part of disaster preparedness means having a generator in case you ever lose power. But if you want this important piece of equipment to work properly when you need it to, regular maintenance is recommended. Luckily, generator maintenance is pretty straightforward, since it mainly revolves around keeping an eye on the gas, oil, and battery. 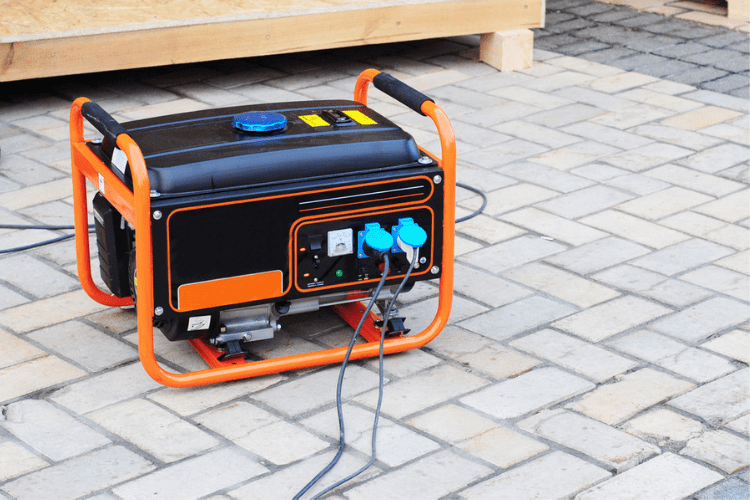 So if you’re interested in ensuring you’re ready for an emergency that leaves you without power, take a look at how to care for your generator. When the power is out, you’re going to need to depend on gas to get you the electricity you need via your generator. That’s why it’s important for you to keep your generator full of fresh fuel. Of course, keeping the fuel fresh might be hard if you don’t use the generator very often. After several months of not being in use, the gas will start to become too old and thick to power the generator, leaving you without electricity during a storm, hurricane, or other disaster. So, short of draining the fuel tank, what can you do to ensure there’s always fresh gas in your generator? You can use a fuel stabilizer, such as STA-BIL Fuel Stabilizer, to stop the gas from getting too thick and gummy over time. The other important liquid for your generator is oil. Like gas, you need to keep the oil fresh and at the proper level if you expect your generator to work. You can check the owner’s manual to determine what kind of oil you need, and then make sure you have a bottle or two on hand. If the generator is new, change its oil after its first five hours of use. After that, you can change the oil after about 100 hours of use. So make sure you have the right filters ready to go in case you need to change the oil during an emergency. Your generator is one item you own that you hope you never—or rarely—have to use. And for most people, that’s the case. 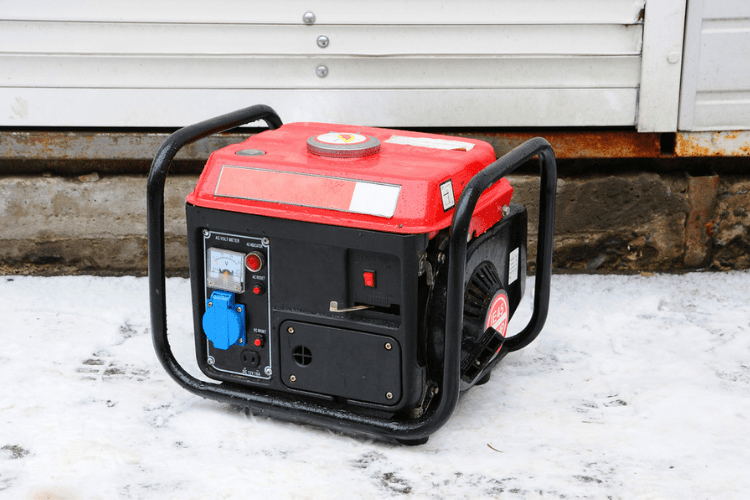 As a result, you might go months or even years without using your generator. The problem is that this means you won’t know if it works when you finally do have to use it, such as during a hurricane. So it’s a good idea to start up your generator every three months or so to make sure it still works. Plus, letting it run for about a half hour every few months helps charge the battery, which is good for the starter. Another part of generator maintenance is making sure you’re using the right cord for this piece of equipment. First, use cords that are heavy duty enough to properly run your generator so you get the right amount of voltage. Otherwise, you risk burning out the motor. Also, keep in mind that generators can be loud, so using a long cord is a good idea if you want to keep the noise down when you run it. For example, a 12-gauge cord that is 100 feet long or less should work well for your generator. Proper generator maintenance involves keeping it safe when not in use. After all, it will be stored away and not used for most of its lifetime, so it makes sense to pay special attention to the storage conditions. First, keep it in a spot that will stay dry, which means you shouldn’t keep it outside where it might get rained on. In fact, you should shield it from any inclement weather, which you can do with a special generator enclosure. You might also consider storing it in a shed that houses all your small power equipment. Now that you know how to practice generator maintenance, it’s time to take other steps toward preparing for a disaster. You can start by reading our guide: Steps for Putting Together An Emergency Preparedness Plan. I have Stabil Marine. Can I effectively use Stabil Marine in my gasoline Generator during storage? Hi, Todd. Yes, perfectly OK to use STA-BIL Marine for your generator. It will keep that fuel fresh for up to 12 months!